What is more important to you? The exercise performed or the recovery process that enables you to perform the exercise again at an improved level? If you workout on a regular basis, you will understand this question. For the majority of the population, the primary focus is on the process of performing the workout, whether it be a powerlifting session, kettlebell class or training run but what is your secondary focus? Nutrition? Sleep? Hydration? What about the actual recovery process? How much thought do you put into recovering from a workout? If we look at what happens to your body over the duration of the exercise performed, then maybe we will reconsider that extra effort and time we should be putting into our recovery? We all know that regular physical activity can drastically lower our risk of heart and circulatory disease. When you are active, the heat produced by your muscles increases your body temperature, making you feel warmer. Your heart starts to beat faster, pumping more blood to the muscles you are using. Your heart is also a muscle. If you are active regularly, it gets bigger and stronger. Your muscles are working harder, so they need more oxygen. You start to breathe faster so your blood can pick up more oxygen from your lungs. Your lungs work hard to make this happen. Once your blood has picked up oxygen it moves to the muscles you are using giving them the extra oxygen they are needing. If you are active regularly, more capillaries grow in the muscles you’ve been working. This is one reason activity starts to feel easier over time. Regular physical activity can improve your memory and attention span. Over time, the part of the brain involved in memory and learning seems to get bigger [the hippocampus]. Long term physical activity leads to a lower resting heart rate and lower blood pressure. This helps cut your risk of heart and circulatory disease. When you’re active your brain produces chemicals called endorphins. These reduce feelings of pain and make you feel more positive. It also decreases the production of stress hormones, reducing anxiety. And let’s not forget the positive impact it has on Type 2 Diabetes. So now we know what happens to our body during exercise and what it does for us we need to know what to do to continue to exercise without injury and pain. Just like our car requires an oil change every few thousand kilometres our body also requires regular tune ups. Ever get a sore muscle and continue to workout? Push through the pain? Let’s face it, we all have at some time. If one part of your body is not working at its optimal level, other areas of the body will start to compensate. Eventually these other areas can be compromised as well and over time this leads to injury and the introduction of the painful ‘trigger point’. The result of muscle overload and fatigue. There are many ways to support exercise maintenance however I want to focus on one in particular; the use of the Foam Roller. The Foam Roller is used for Myofascial Release. It works by returning your muscles and soft tissue to its original form. Exercise and injury can cause knots in our muscles that restrict mobility and performance. By smashing those knots and allowing soft tissue to operate correctly we are allowing our bodies to perform at an optimal level. 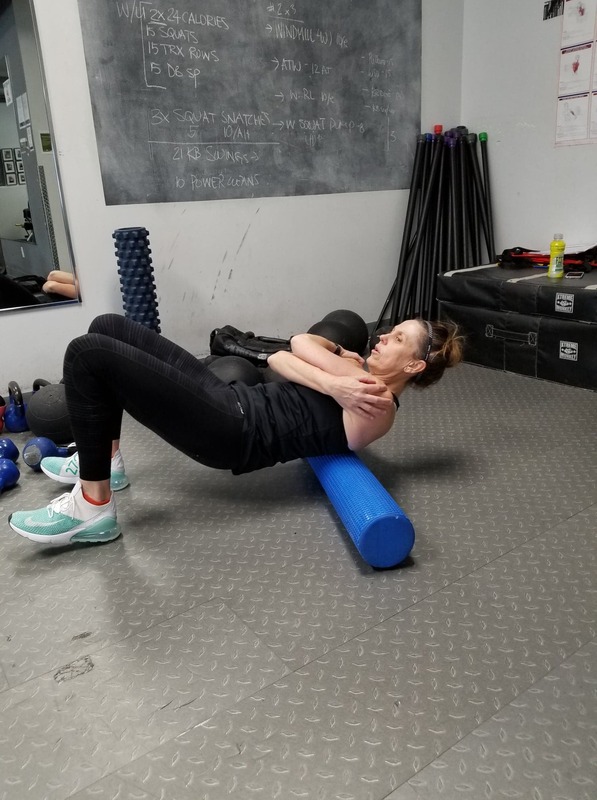 Don’t be afraid to combine foam rolling with dynamic stretching prior to your workout to significantly increase your range of motion. When combined with static stretching, post workout, foam rolling can lead to increased tissue length and elasticity leading to flexibility improvement. 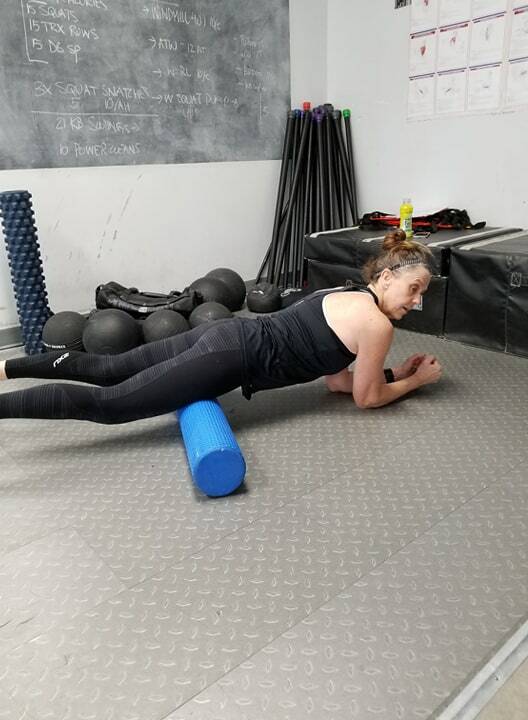 In addition to eliminating these knots or trigger points, Foam Rolling also aids in the prevention of injury, physically aids in destressing your body so it can work more efficiently and increases blood flow which ensures a faster recovery from workouts and reduces the overall ‘soreness’ from physical activity. 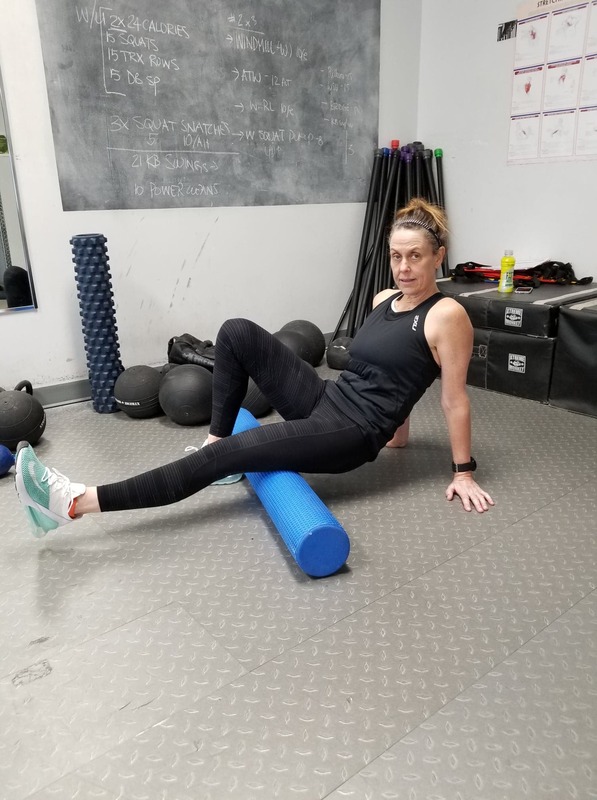 I asked several gym members this week if they use a foam roller and how often? The overall consensus? Most gymgoers tend to reach for the roller when they are feeling pain. Although most of us are aware of the benefits, leaving it until there is pain can be too late. Very few members were using it on a regular basis as part of their maintenance program. Personally, I can attest to the benefits of regular use both pre workout and post workout. I have incorporated the use of the Foam Roller and am already feeling the benefits from short term use. I challenge everyone that has taken the time to read this article to put the FOAM ROLLER to the test. Whether you are a lifter or a runner, a cross-fitter or a rower, take the time to incorporate the Roller into your routine. Not sure how to use the roller? We will gladly demonstrate the DO’S and DON’TS for effective rolling.